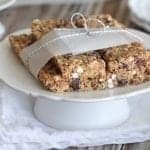 These homemade granola bars are the perfect family friendly snack recipe that will have everyone smiling ear to ear. The perfect after school snack for the kids! Partnering with Frigidaire Gallery® today! 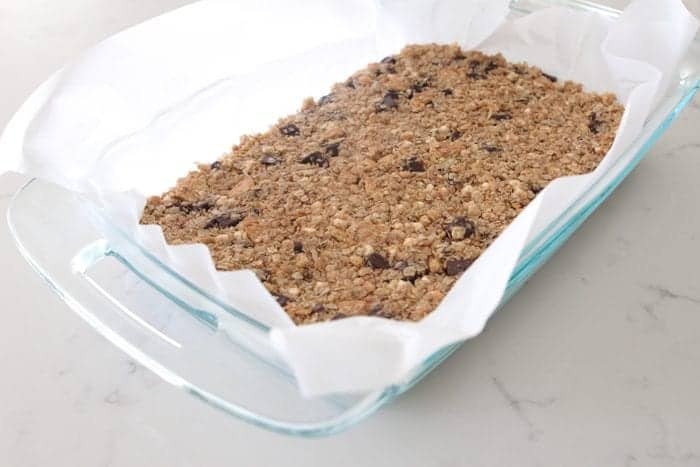 With just a few pantry staple ingredients, you’ll have these homemade granola bars ready in no time. 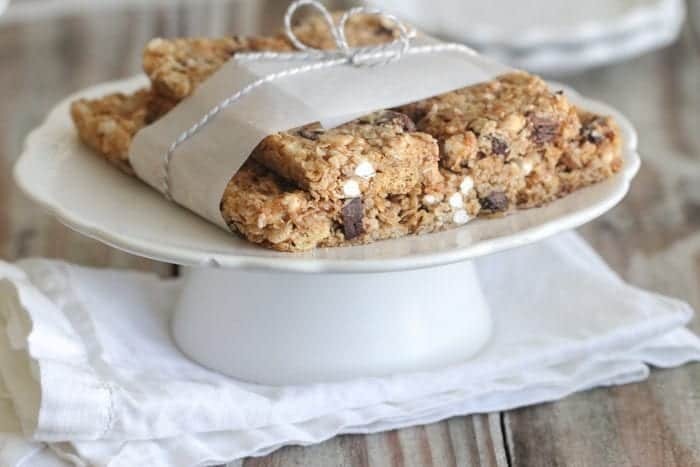 S’mores is one of our very favorite dessert flavors so I knew they’d make a great granola bar. 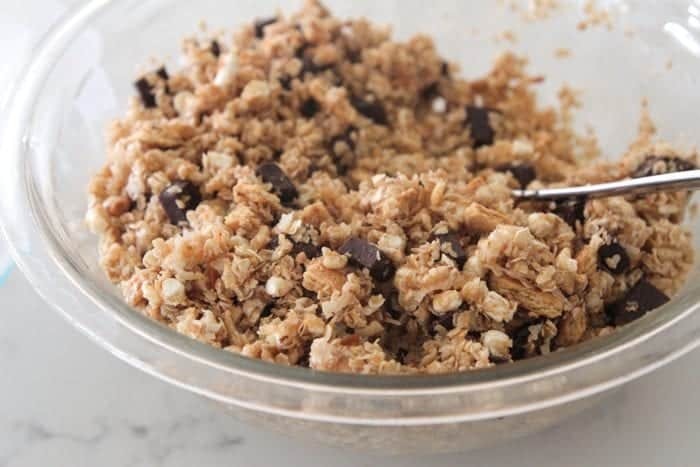 Hope you enjoy this fun recipe that makes the perfect after school snack! 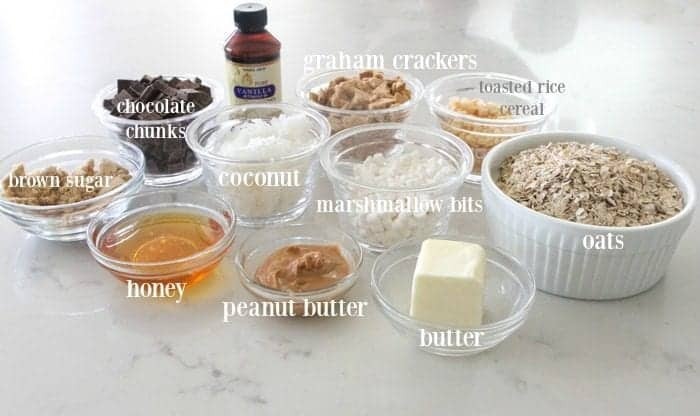 Here are the ingredients I used for my bars. 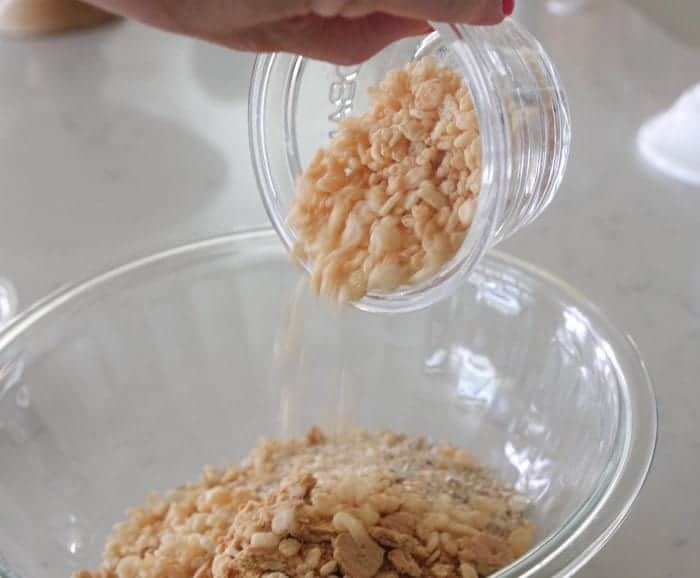 To start, you’ll toast your shredded coconut in the oven. You’ll want to toast the coconut until golden brown. 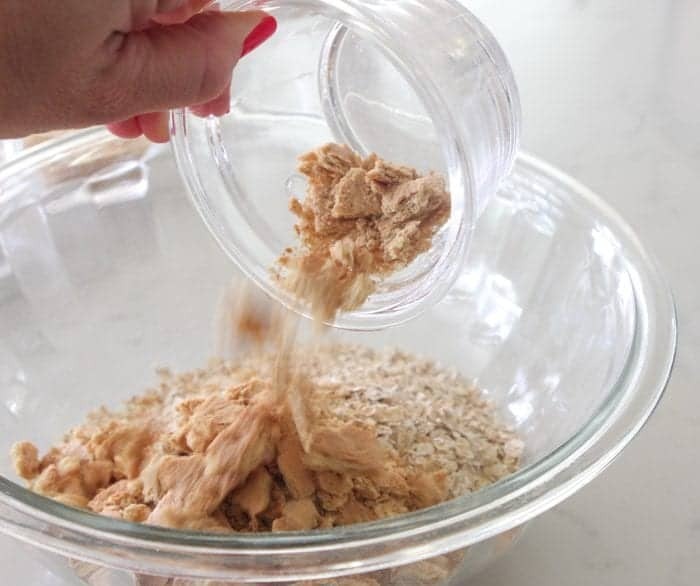 Add your oats to a large mixing bowl. Marshmallow bits! 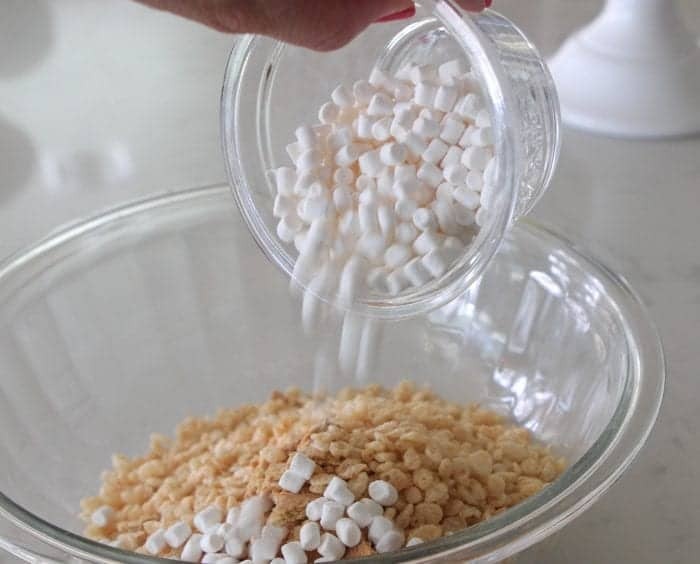 You can find these at your grocery store either by all of the other marshmallows or by the ice cream toppings. You can also order them on Amazon. They’re so great in cookie and brownie recipes too. 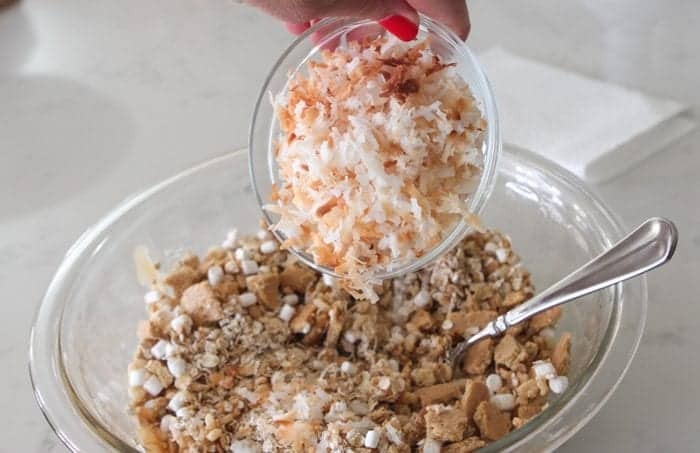 Add your toasted coconut to the bowl. 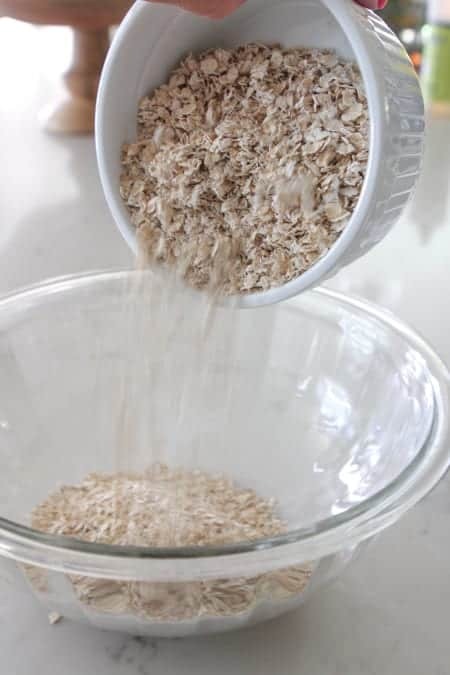 Prepare sauce and pour over your oats mixture. At the very last minute before transferring, drizzle with a heaping tablespoon more honey and stir in your chocolate! 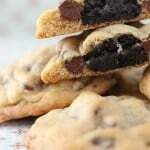 I used dark chocolate chunks, but any chocolate chip works great. Press Mixture Into Baking Dish and Refrigerate To Firm Up. Press firmly into your baking dish. Let refrigerate for a good hour before slicing. Not only are these adorable and perfect for snacking, they’ve got all of the right flavors that make for a fun granola bar. Enjoy! 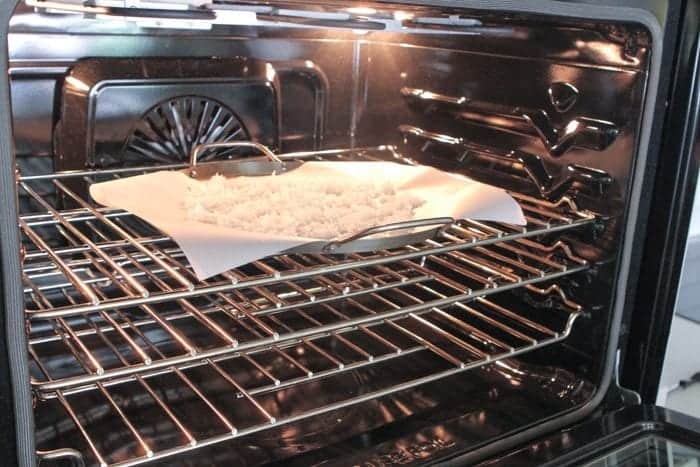 Preheat oven to 325 degrees F. and line baking sheet with parchment paper. 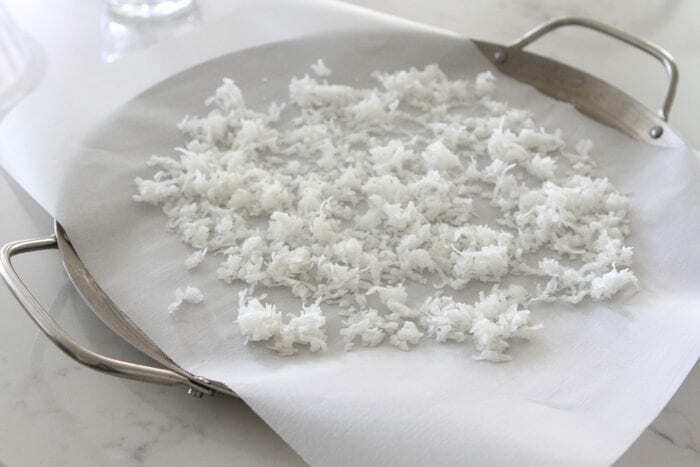 Place shredded coconut evenly onto baking sheet and bake for about 10 minutes, until browned. Remove. 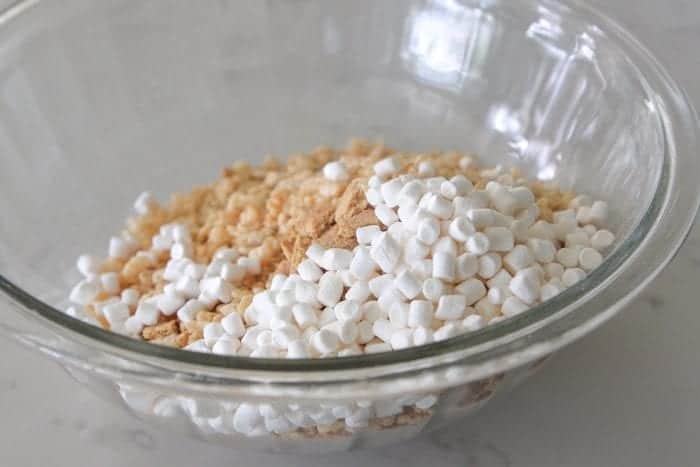 Place coconut, oats, graham crackers, cereal and marshmallow bits into large bowl. In a medium saucepan melt butter and honey, stirring until melted. 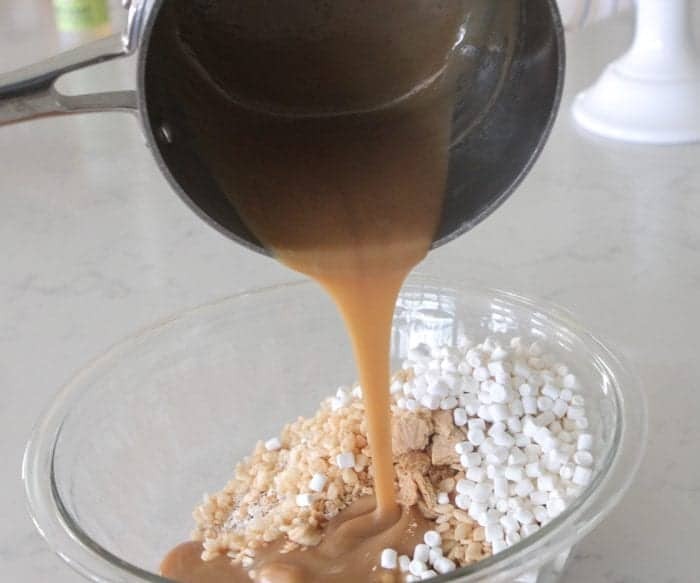 Remove and stir in brown sugar, peanut butter and vanilla. Pour mixture over oat mixture stirring to combine. Right before transferring to 9×13 dish, drizzle with additional honey and stir in chocolate chunks, without stirring too much. Transfer to dish, pressing evenly. 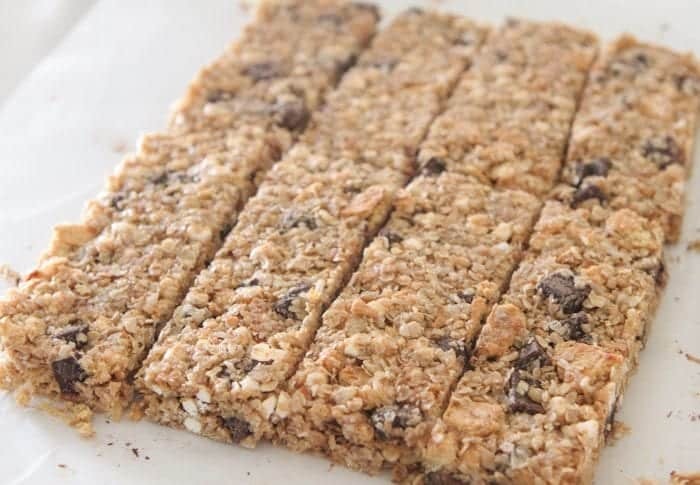 Refrigerate for one hour before cutting into bars. For best results, keep bars chilled until serving. Disclaimer: This post was in partnership with Frigidaire Gallery® in 2016. All thoughts and opinions are 100% my own. Thank you for supporting the brands that make Picky Palate possible. Uhhhh I’m definitely smiling! I love all things granola (and peanutbutter!) and marshmallows make everything better. Love the idea! So completely nom! Love that you add in some peanutbutter! Yummy!! So much fun! 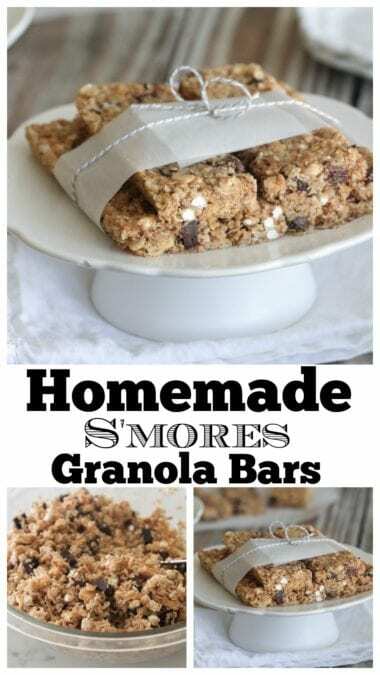 Smores + granola bar is always a good idea! 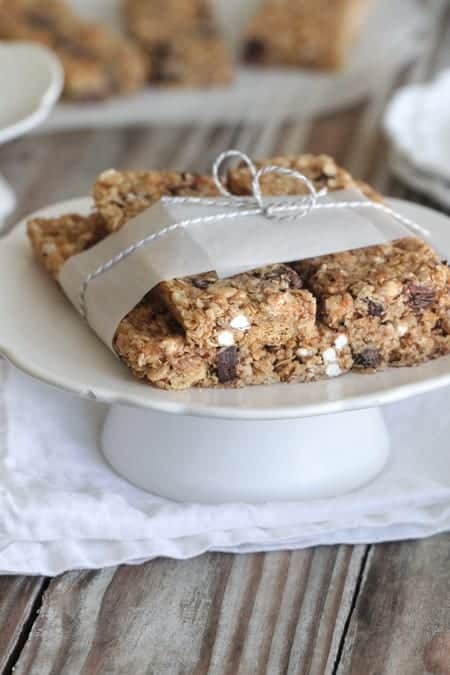 SO excited about this recipe — s’mores granola bars are Jess and Jon David’s FAVORITE!! I definitely have to make these for them. 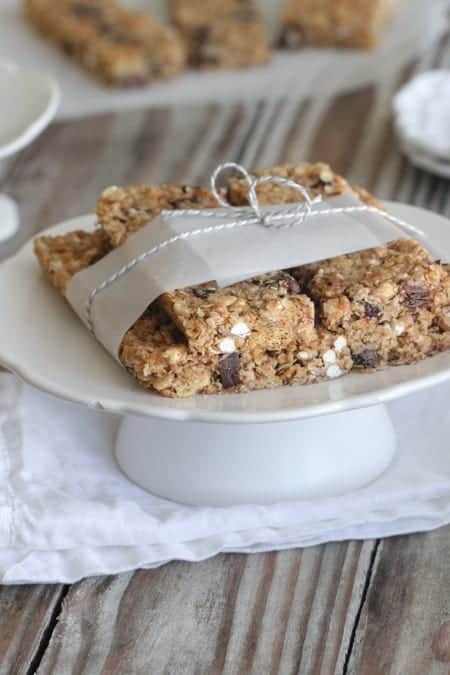 Love homemade granola bars and these sound so fun! These are awesome! my kids would love them! We have a tree nut allergy in our house that includes coconut. 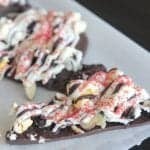 I really want to make these. I’ll leave out the coconut, but what could it replace it with? Thanks!! This is a perfect wrap up breakfast to have when travelling to work ! Thanks ! these are totally right up my alley! 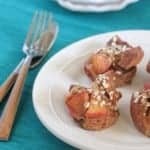 i’ll have to make these before my next travel day! I can’t wait to make these for my boys. They eat everything in sight so I’ll have to make a bunch!